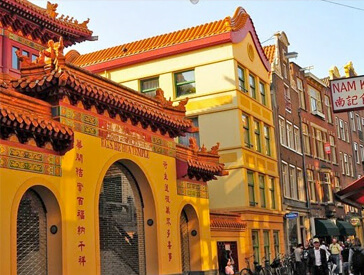 Is a combination of two historic streets in the center of Amsterdam, located next to the world famous Waterloopleinmarkt. 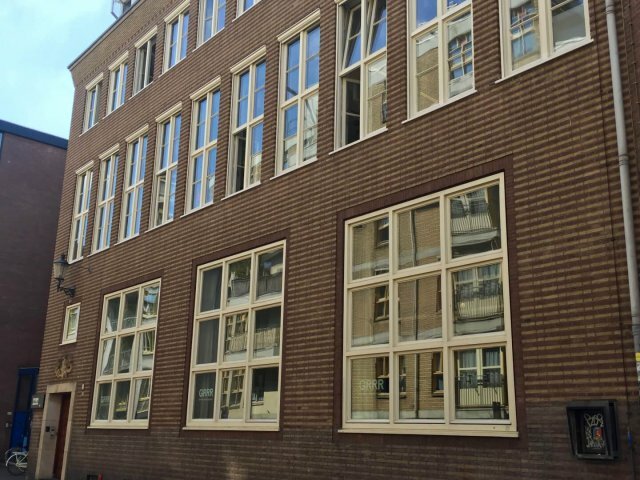 The famous philosopher Spinoza was born here and it is the place where the painter Rembrandt lived. 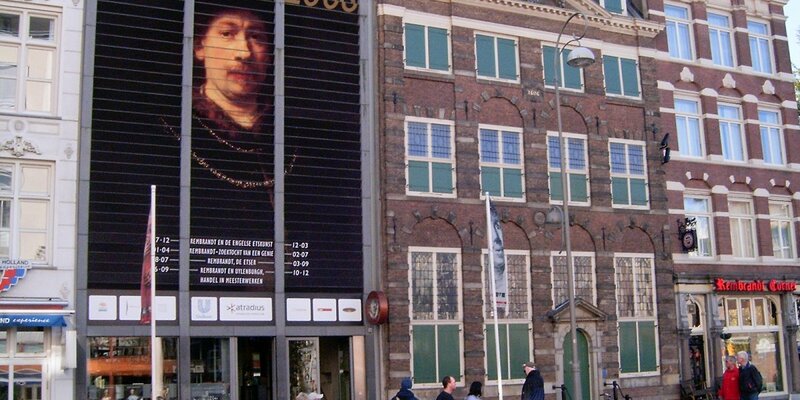 His former residence has now been converted into a museum, the Rembrandt House. 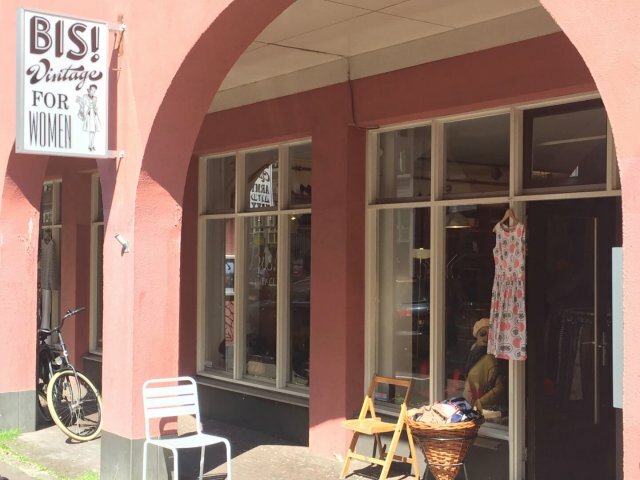 The Bree is now one of the most diverse shopping streets in Amsterdam. 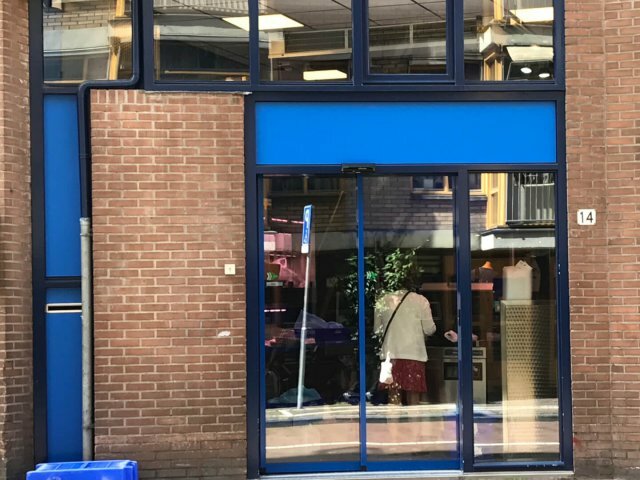 SHOES GIANT, OVER MORE THAN 80 YEARS VanHaren has more than 80 years a leading formula in the footwear industry in the Netherlands. 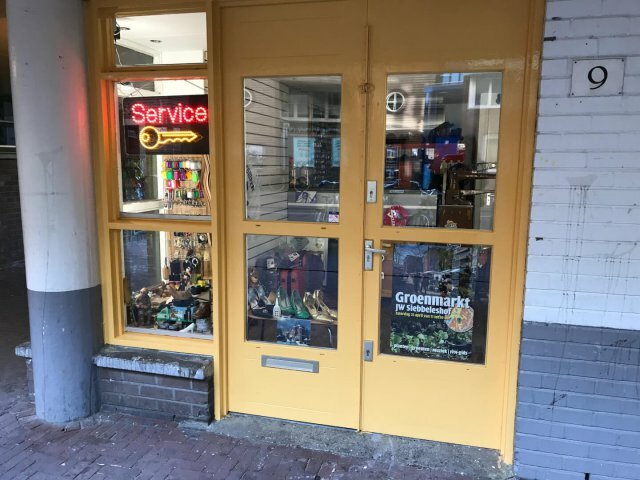 With over 143 branches, there is always one in the neighborhood and is vanHaren not only one of the largest, but also one of the most successful shoe retailers in the Netherlands. 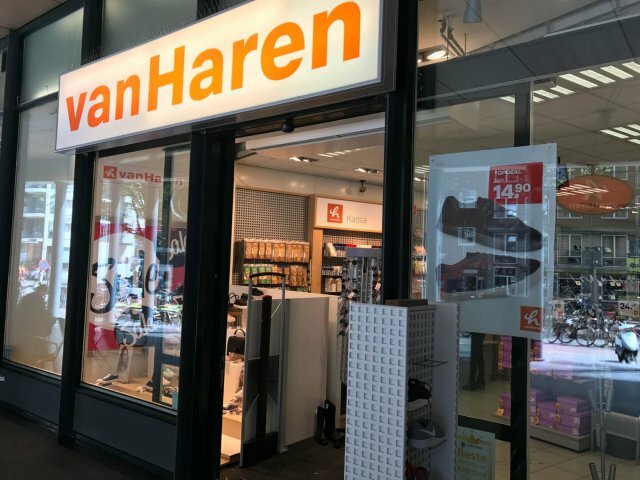 At vanHaren the whole family can go for shoes with an excellent price / performance ratio. For everyone there is a matching shoe. 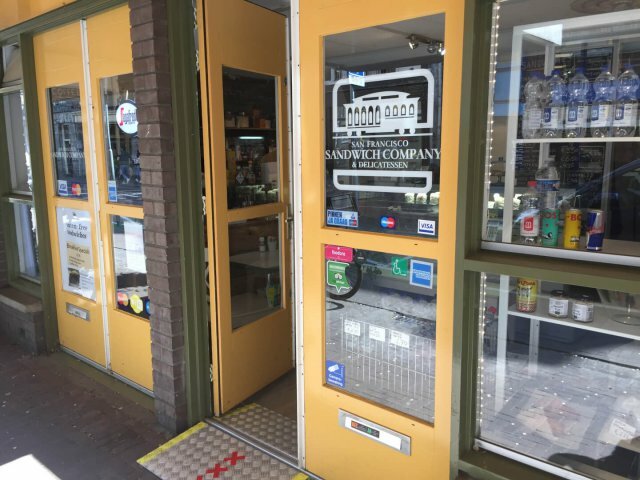 At vanHaren are all sizes just in the store, allowing you to quickly find the right shoe and you do not have to wait for an employee. Through this so-called Rack Room concept you quickly find the shoe that fits (with you). But also ask, if desired, feel free to our staff for advice. 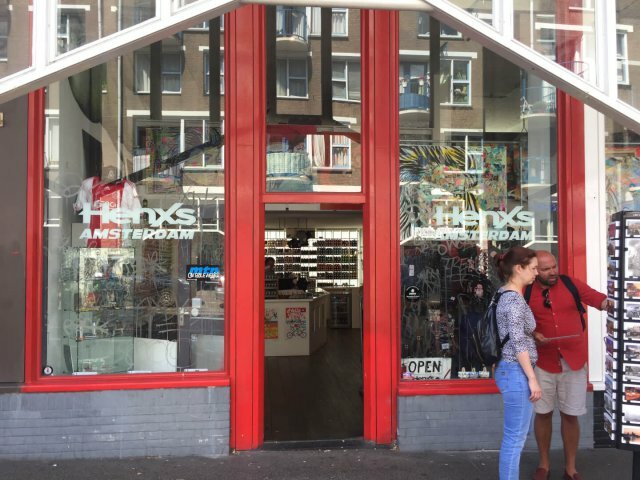 Henxs, the number one place for Graffiti, (Street) -Art Materials. Spray bottles of the best labels, many different markers for all purposes. Friendly service. The little shop of Riantri is packed with all kinds of accessories, jewelry and various other ornaments. 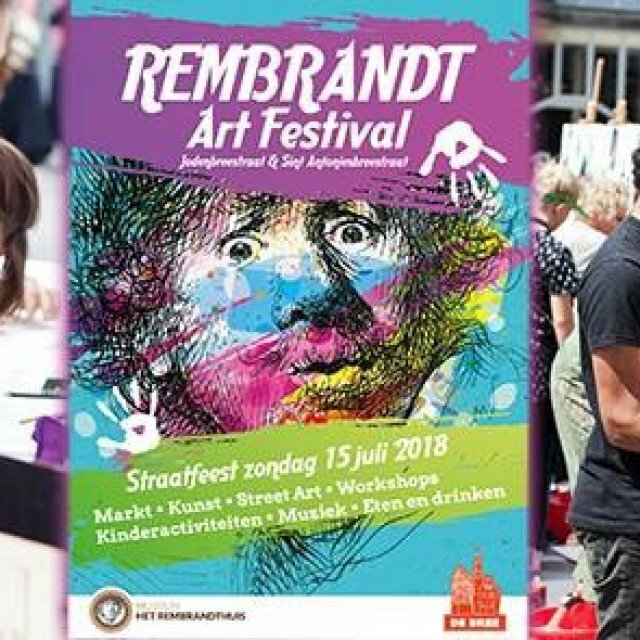 Riantri has special handmade jewelry from Asia, dreamcatchers in various colors and sizes and also a small collection of clothing in colored fabrics. 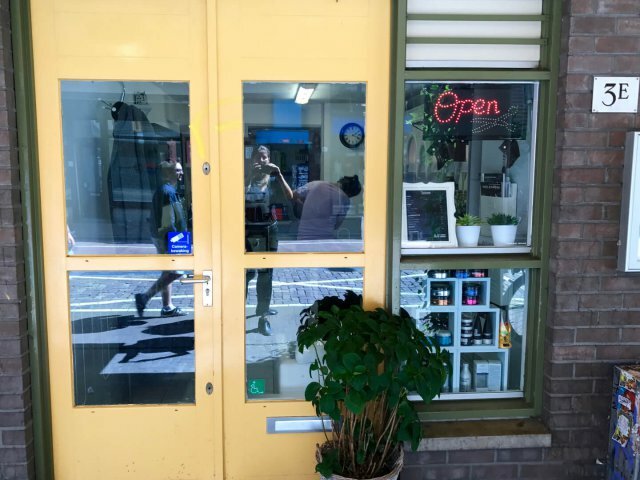 The store has all kinds of fun and special Asian accessories and gift items to decorate your home or your body. The ordinary affordable and the extraordinary accessible We have all the daily groceries at home. Everyday items like toilet paper, detergent, diapers and toothpaste, potatoes, milk and bread. 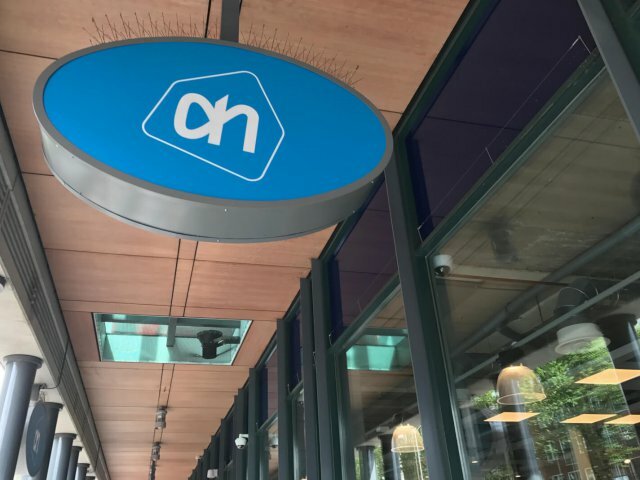 At Albert Heijn you are assured of excellent quality for an affordable price. And we sell a lot of special products that you often find only with us, or in a specialty store. 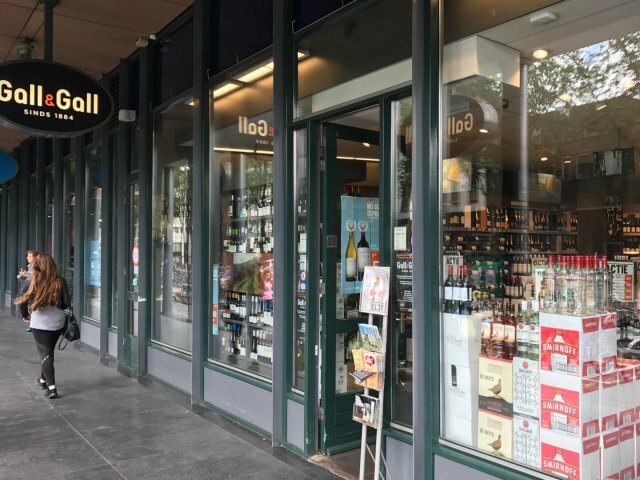 Our brand AH Excellent offers a wide range of special products to enjoy more, with tens of thousands of special Christmas and Easter products each year. We are also always looking for interesting new products that will surprise you. And all these special products are at Albert Heijn for the best price, because we want to make it special to everyone! 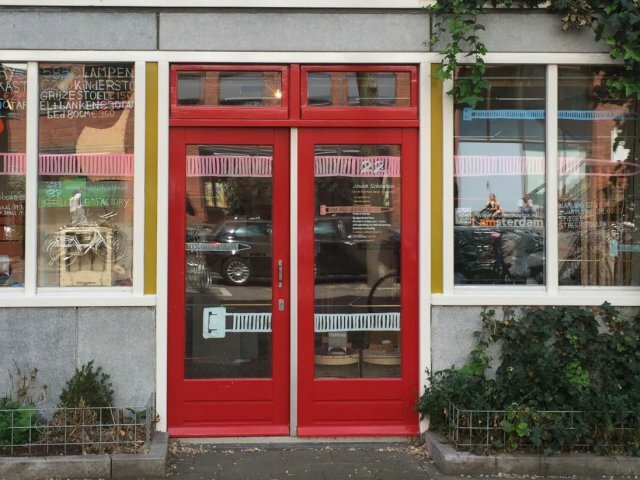 Bookstore for slow book, specialized in bibliophile, book history, book design and typography. 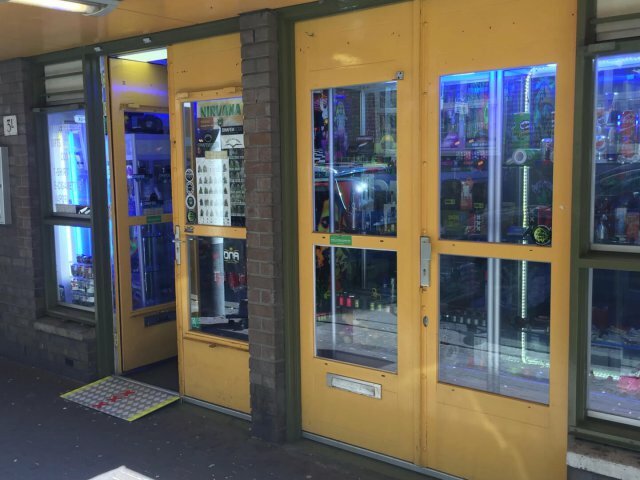 The toy store for young and old! 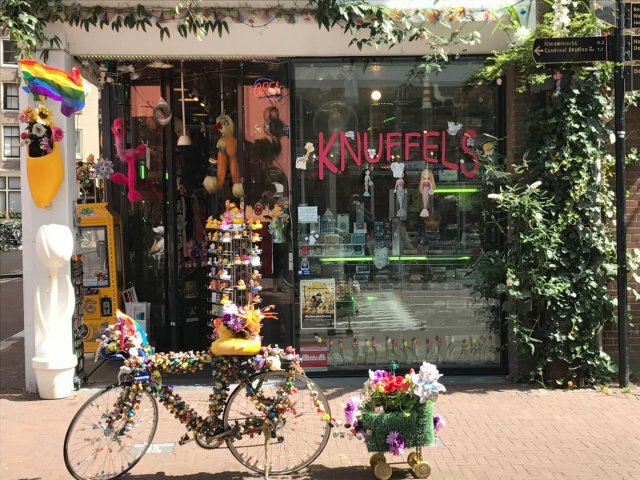 Plush animals, Monchhichi, Hello Kitty, Ty-beany babies, Barbapapa, Steiff, Papo knights, dragons, IQ puzzles, gadgets, optical illusions and clogs. Enthusiastic owner of Cuddles Bruno Jonker give you advice! 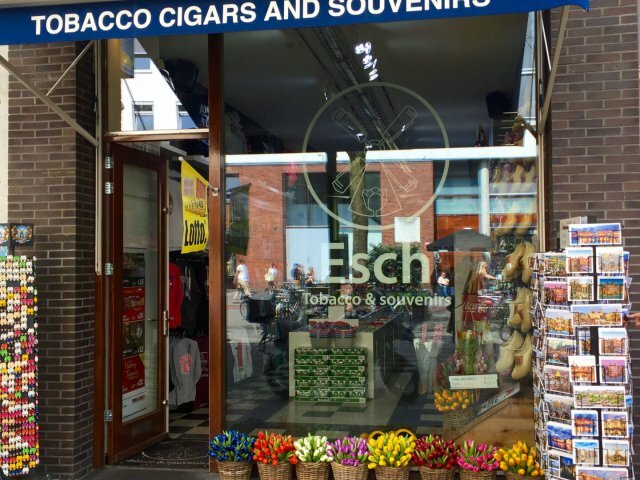 Cigarettes, cigars, souvenirs, soft drinks, sweets and much more. “When I design furniture, I imagine people who use it. 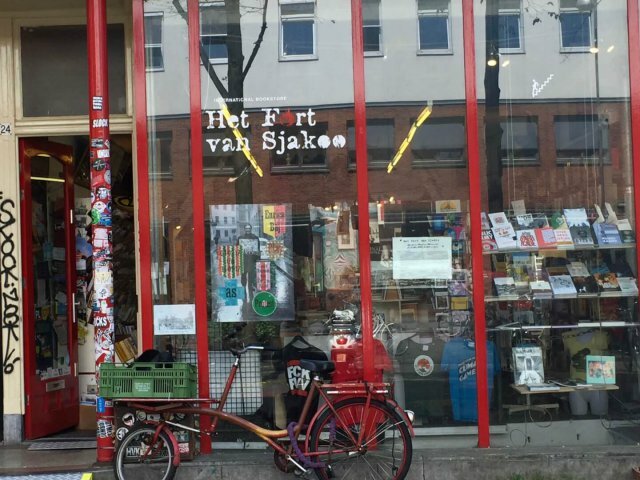 And when people choose my furniture to tell their story, they also share creativity and craft.” My name is Jouke Schouten and I am a Dutch furniture designer. 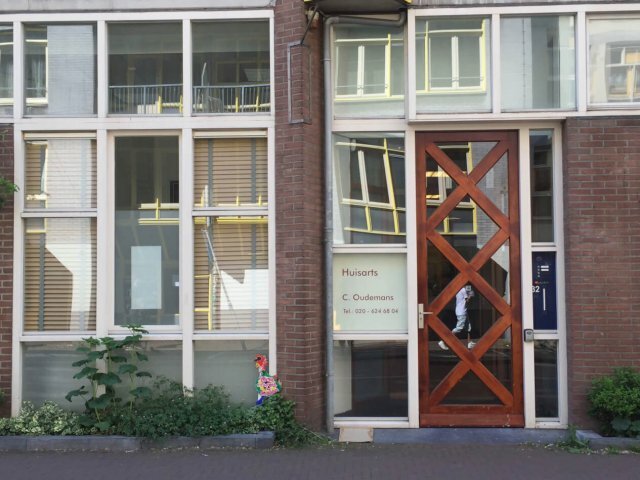 My workshop in the center of Amsterdam is specialized in design and construction consultation. In everything I build or design, from entire commercial and living spaces to small household goods, I strive to a comfortable, but elegant quality. 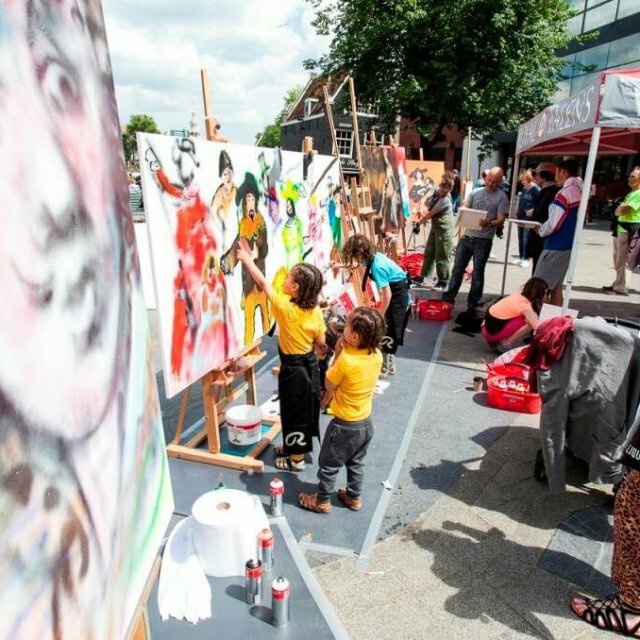 Together we can explore the endless possibilities of creative imagination. BIS! 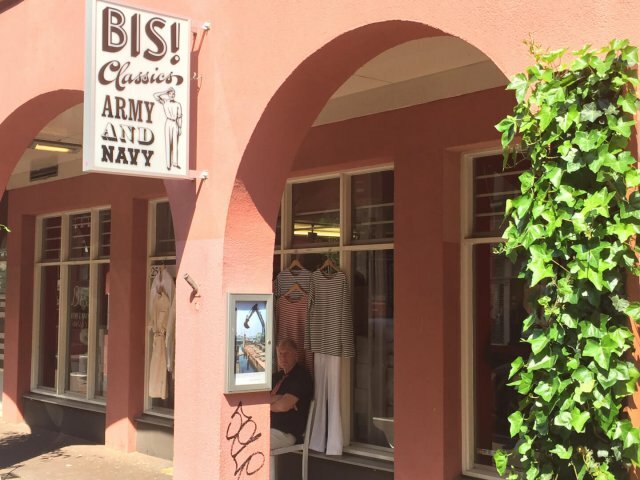 25B Ladies Vintage BIS! 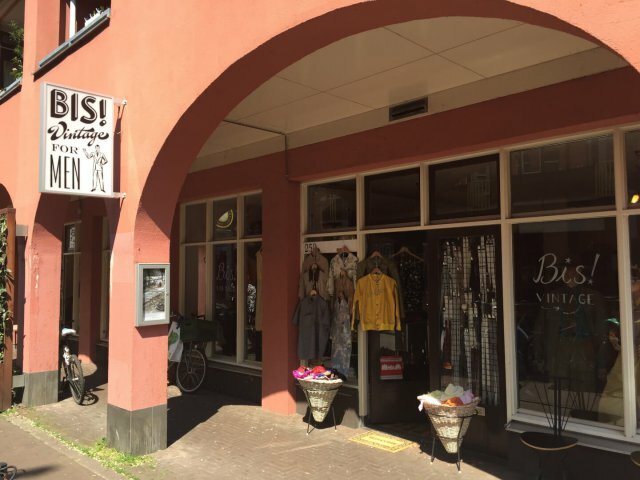 25B You can find vintage clothes from the Fifties, Sixties and Seventies. Of course, with a more than generous choice of matching bags and shoes. You will discover something new every time, as we renew our Ladies collections continuously. Our heart beats faster for quality fabrics, which is why you will find BIS! 25B shiny silk blouses and delicate cashmere sweaters and cardigans. The basic idea behind every HEMA product is to make daily life easier and more fun. They are optimistic and playful, but also clean and soothing, smart and well-made. Design is form, but it can also be a feature of the product, the choice of material or ease of use. 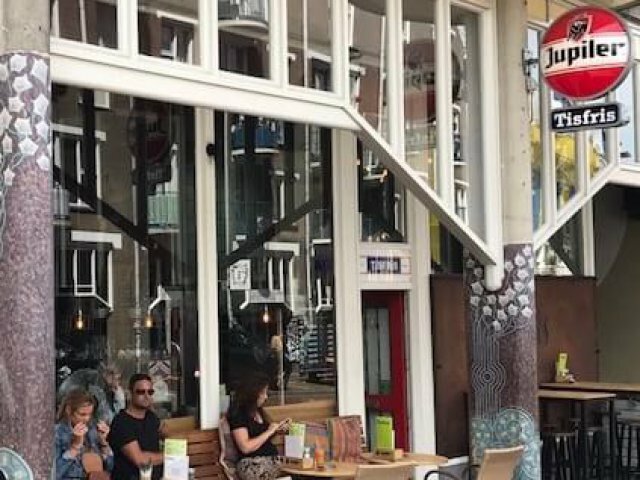 Design is also ‘design-thinking’: a HEMA service devised to make sure that customers enjoy their HEMA experience. Either way, our entire range is 100% HEMA. If something is functional but not special enough, it is not HEMA design. If something is special but serves no purpose, it cannot be HEMA design either. Only the combination of the two matters. As well as a great price of course! That is the unique and recognizable HEMA signature. 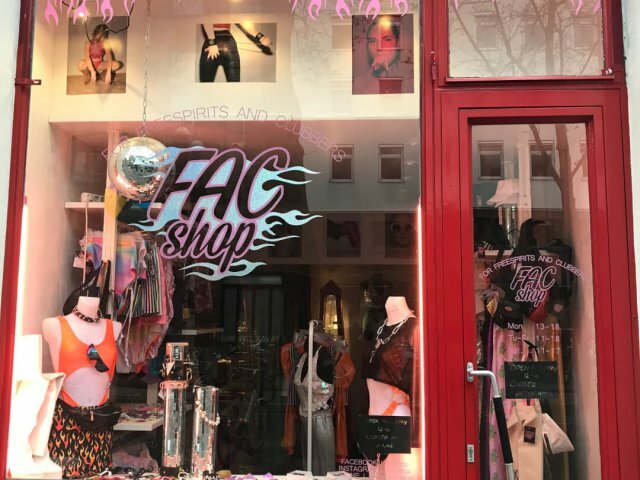 Leather fetish clothing and accessories. Etos is distinguished by its broad range of drugstore products at an attractive price. Etos offers both premium brands at a low price as affordable products Etos own brand. 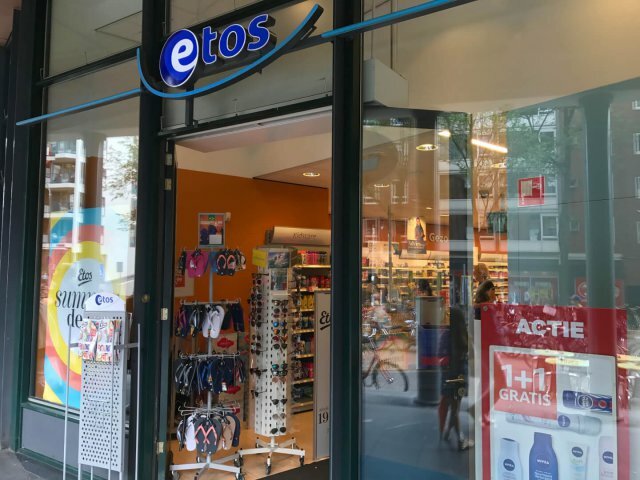 At Etos customers have a choice of over 1500 products including everyday personal care products. But also many specific health & beauty products, vitamins and medicines, a wide range of baby care and original gifts. The fish market from Volendam here in the heart of the city center. 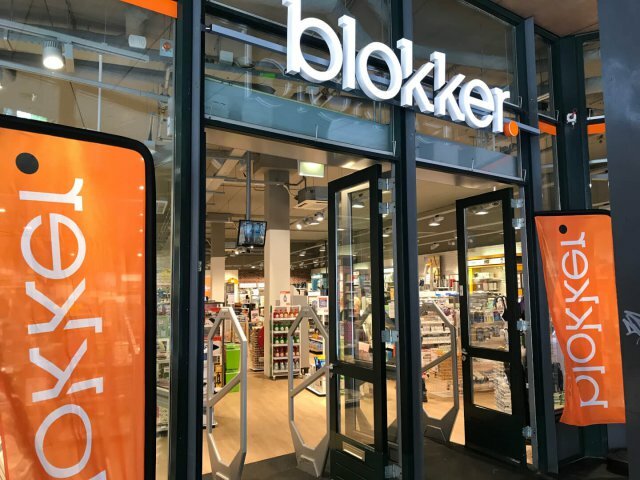 Blokker has a solid base range of good and affordable household items, toys and garden furniture. That particular composition of the assortment, with the emphasis on daily use means we are there for everyone. 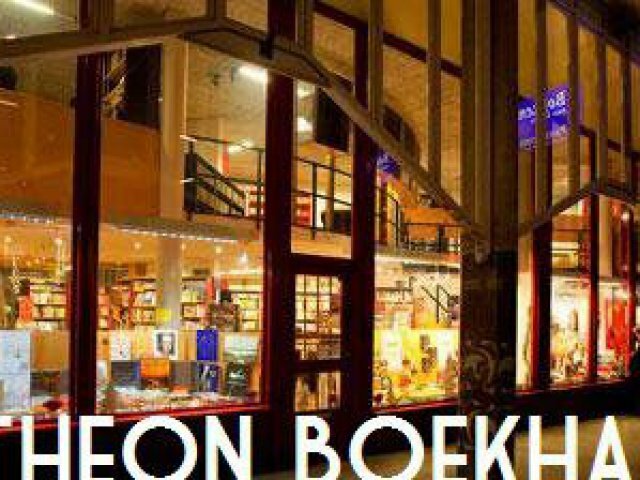 The best bookstore in town, where you can look around and find the right book while you also get very good advice if you want. Always friendly and good service. As the advantage drugstore we bring health & beauty closer to the consumer. 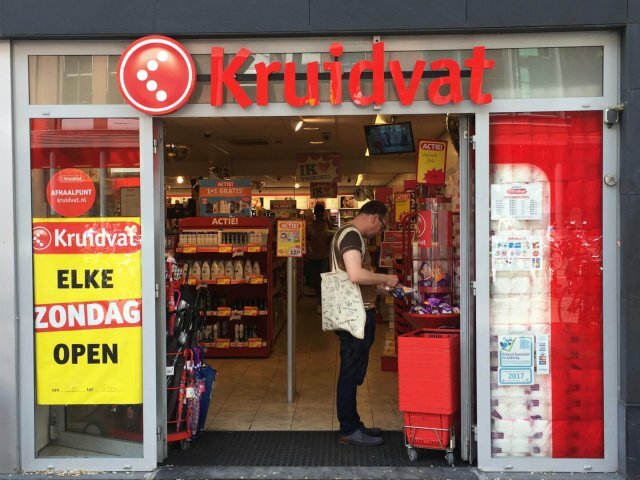 Kruidvat offers a comprehensive, economical and varied health & beauty items. 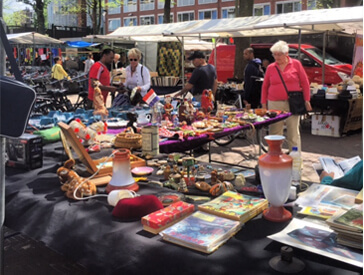 And a surprising range of branch products, such as CDs, toys and decorative items in and around the house. This range is complemented by high-profile deals (such as train tickets and hotel vouchers). For repairing and / or cleaning your clothes. Also, bags and other goods for sale. Here, men can also completely put sight of the new ones. Here you will find everything for a complete vintage outfit: costumes, shirts, ties, knotwear, shoes, and to wear completely dressed overcoats and furry hats. For a more casual look, GIS! 25D also in the racks, for example polo shirts, cashmere sweaters and cool leather jackets. BIS! 25D can also complete the news. You will find everything for a complete vintage outfit: costumes, shirts, ties, cufflinks, shoes, and dressed up in jackets and coats. For a more casual look, BIS! 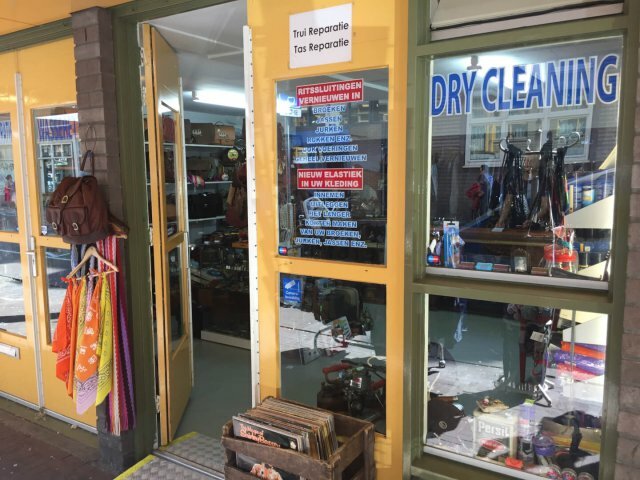 25D good enough on the shelves, such as polo shirts, cashmere sweaters and cool leather jackets. 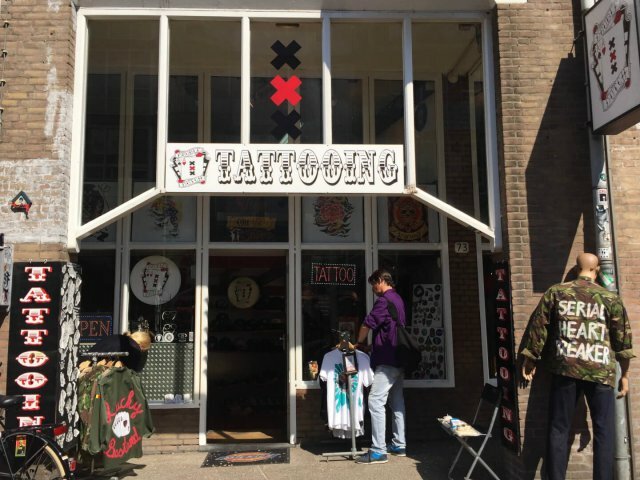 At Double Dutch you can go for a new tattoo and also find a variety of clothing brands like Deux ex Machina, Dickies, Vans, Badly Army Jackets and much more. 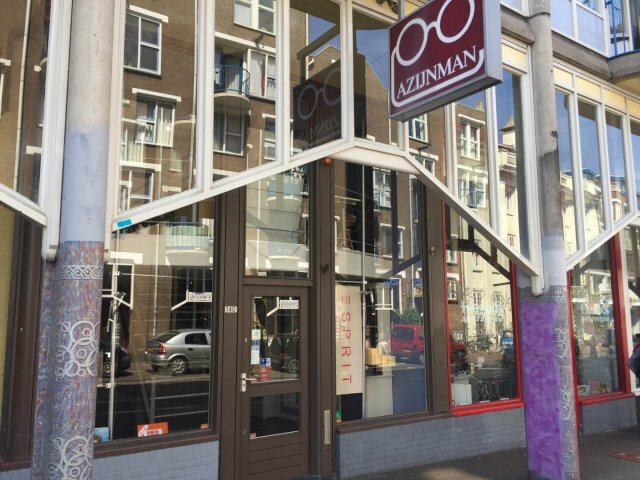 Azijnman Opticians is an independent family company in the heart of Amsterdam. Our goal is to get the best viewing solution for your eyes. You will be personally and attentively assisted by one of our qualified opticians. 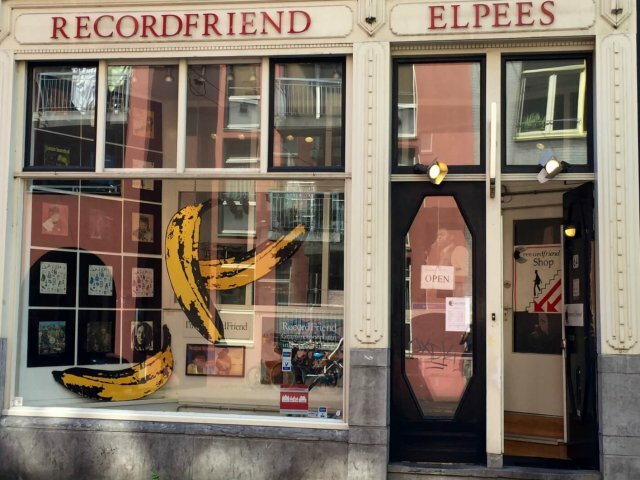 The best place for a fine collections used LPs and singles. Flower and gift shop: – Exclusive flowers and plants – Bouquets and flower arrangements – Wedding bouquets – Funeral arrangements – Vases and pots – Decoration of projects and events – Home accessories, hydro-planting and maintenance Souvenirs & Gifts, Inter alia, of Dutch designers and brands like Annie Bags, Kleve & Ring, Blikvanger, NikNak designs, Robin Ruth. 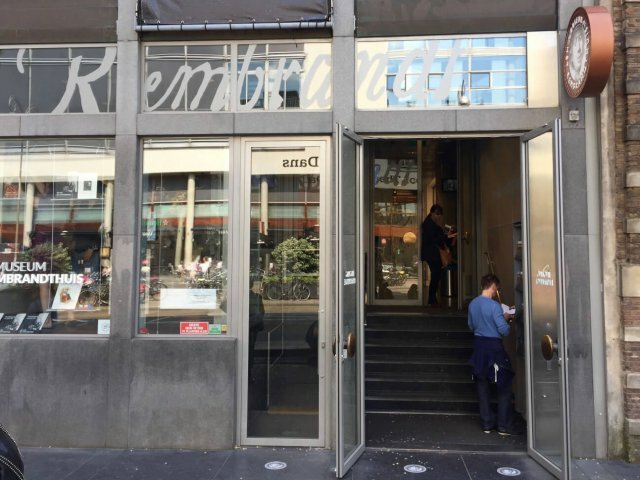 At Simon Lévelt you will find the best coffee and tea. Tea and coffee have been our passion for 200 years, so it’s not too surprising that our expertise is unrivalled. 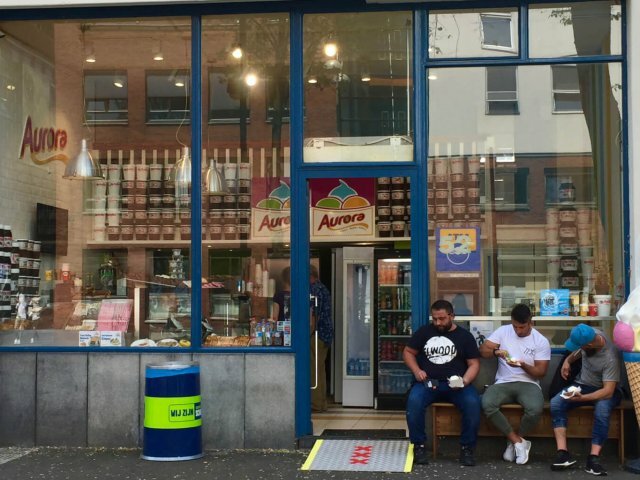 But we don’t just want to offer good quality coffees and teas: we are also committed to making a positive contribution to people’s lives and the environment. 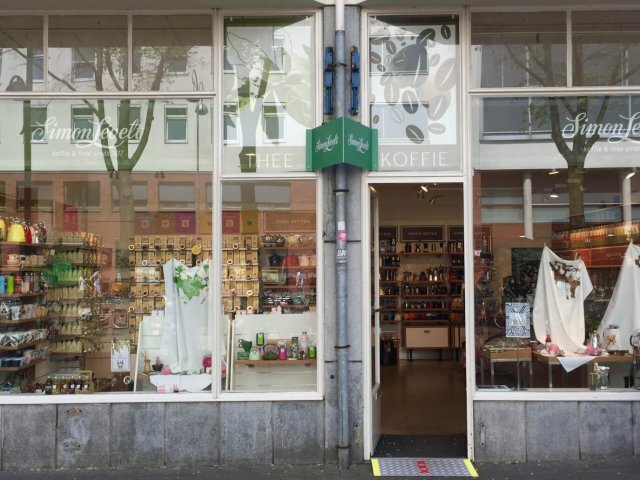 Simon Lévelt offers you the best coffees and teas, in terms of and quality. Come and try our coffees and teas and share our passion. 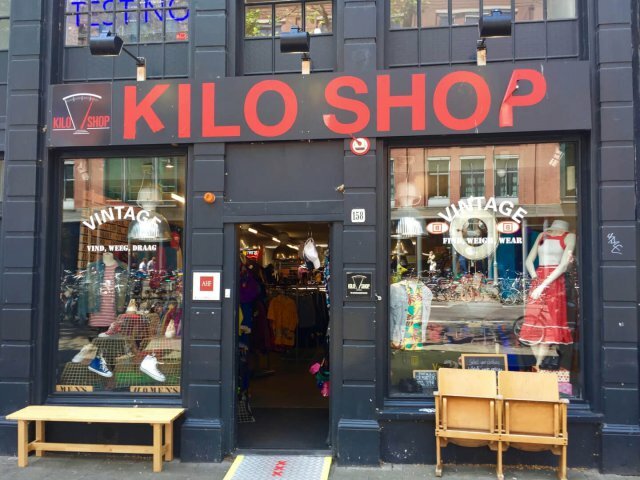 Authentic and exclusive fashion vintage imports from Paris, Berlin, Tokyo and Los Angeles by the kilo. 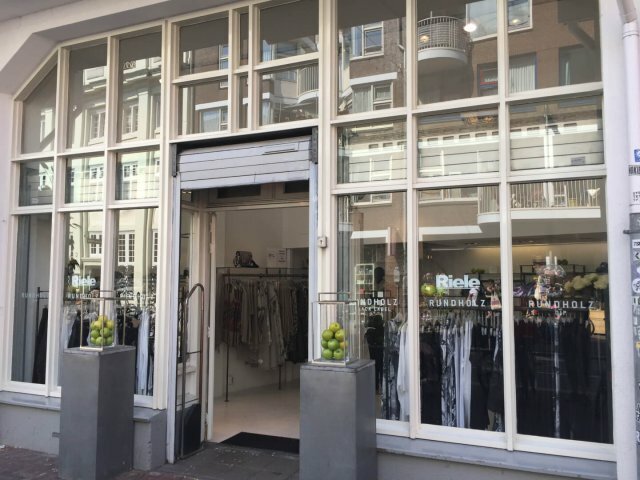 Store Riele sells striking and independent clothing that radiates contemporary and sensuality. 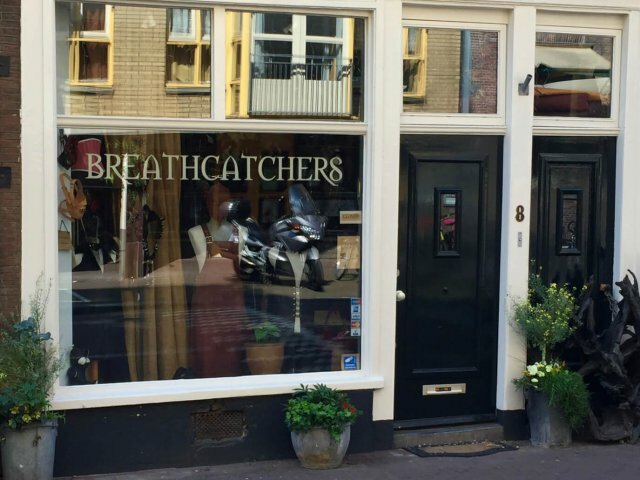 A beautiful shop for beautiful women’s fashion and also some men’s garments. And at a location you would not expect, on the opposite of the House the Pinto. 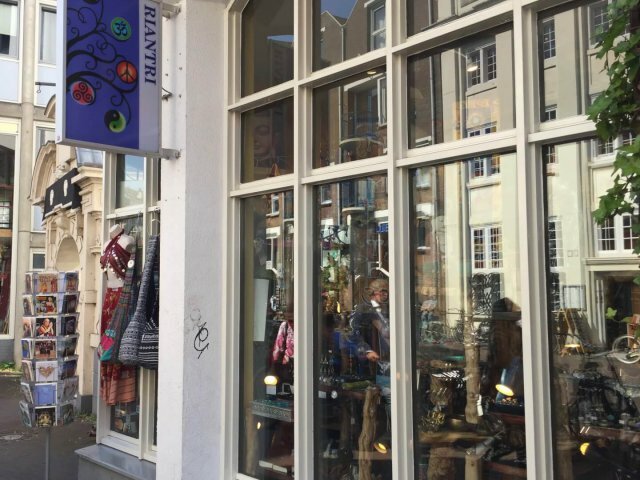 Riele sells the exclusive brand Rundholz. 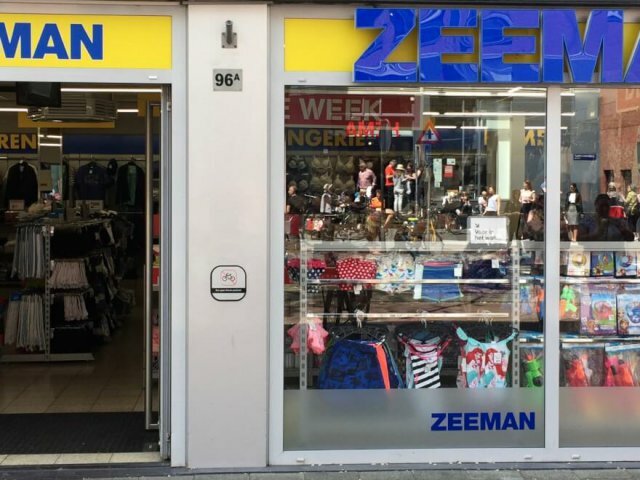 Zeeman believes in the power of simplicity. It may seem easy, but maybe it’s the hardest thing: keep things simple. At Zeeman we see that as the key to our success. By organizing smartly and purchasing large-scale, we can offer the lowest possible prices. The construction of our range is also simple: we have few variants, only the best. And so we always shift our boundaries. From design to packaging. From transport to shop. We continue to look critically at each detail, or we can improve ourselves. 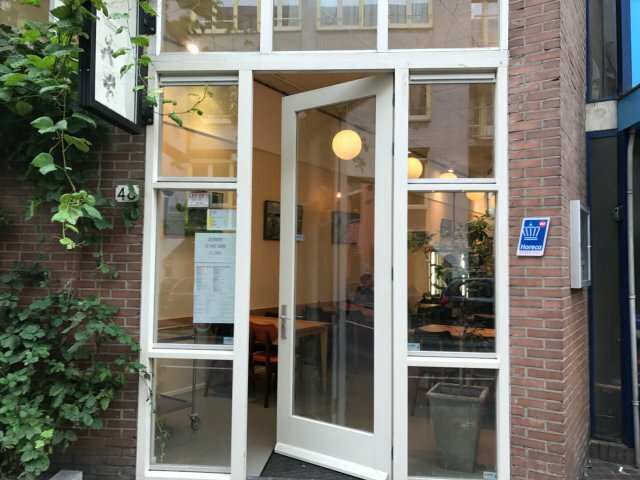 MOOK Pancakes is a modern day pancake spot serving the most delicious healthy pancakes, fresh slowjuices, hiphop and more! Delicious homemade salads to take away or to eat here on, various sandwiches- ciabatta, multigrain bread or toast. We also have brownies, coffee, and much more. Cafe Tisfris is truly a wonderful address for the peckish. 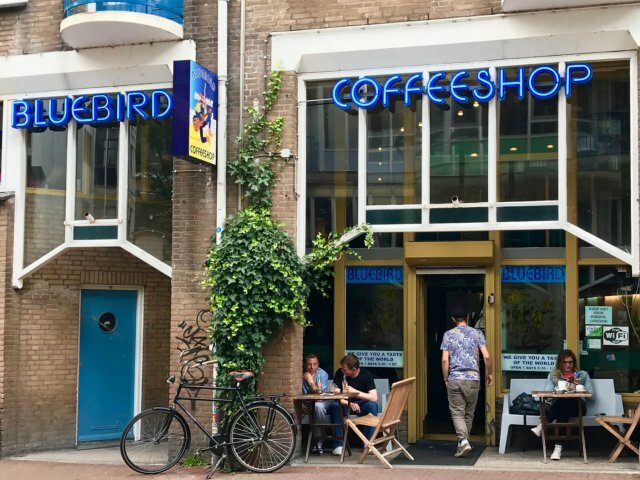 On the menu among others, a full breakfast, healthy sandwiches, soups, salads, lasagna, cakes, snacks, coffee and tea, fresh juices and smoothies. You can use wifi. The lasagna and soups are all made from the base itself and you can taste it. Everything is marinated, grilled and roasted in the kitchen. There are many vegetable dishes on the menu, but also fish and meat dishes. Ask always for the sandwich of the day and the soup of the day. Around the world, and especially in the Middle East, you will find people who share the love of fresh hummus. For many of them, there is simply nothing like a warm plate of hummus, along with a freshly baked pita to scoop it up with! People love hummus for the same reasons we do, it’s tasty and nutritious but also low in calories. Hummus is a perfect part of a vegetarian or vegan diet, providing a complete protein source when paired with our wonderful pita bread! 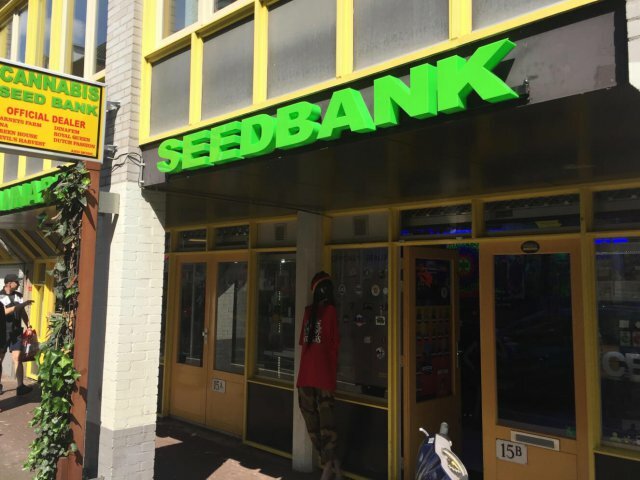 Meeting and use room for cannabis users. Also an nice outdoor terrace. 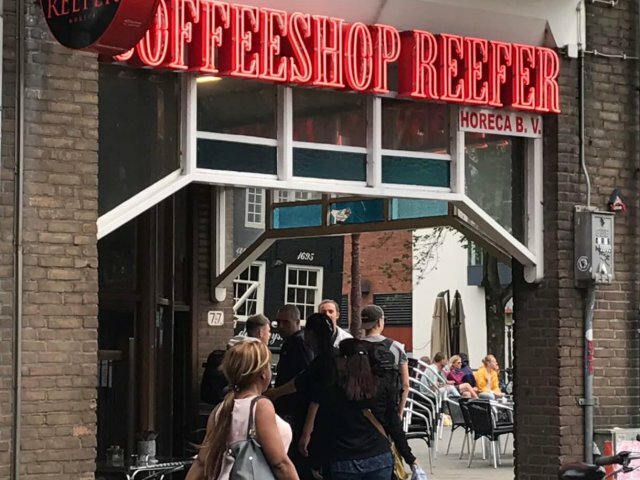 Meet and use space for cannabis users and the best coffee in town served by a true Barista. 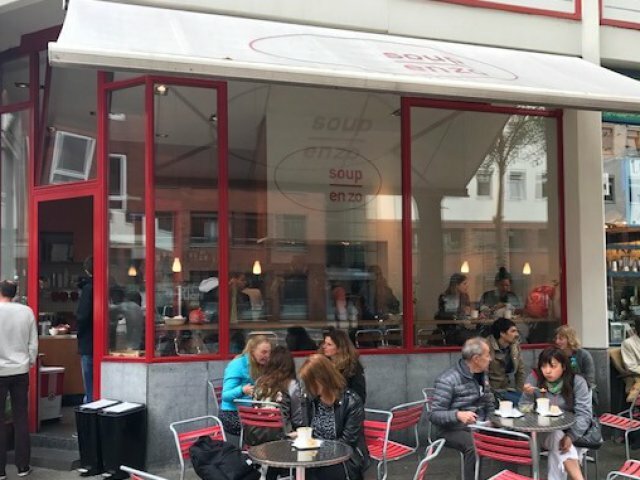 Soup and So is a culinary take-a-way soup shop in the center of Amsterdam. All of our soups and salads are freshly prepared under the guidance of a chef cook. Still, you never have to wait long. Our crew is fast and friendly. That makes the soups Soup en Zo extra tasty. Seven days a week there are at least eight different soups on the menu. 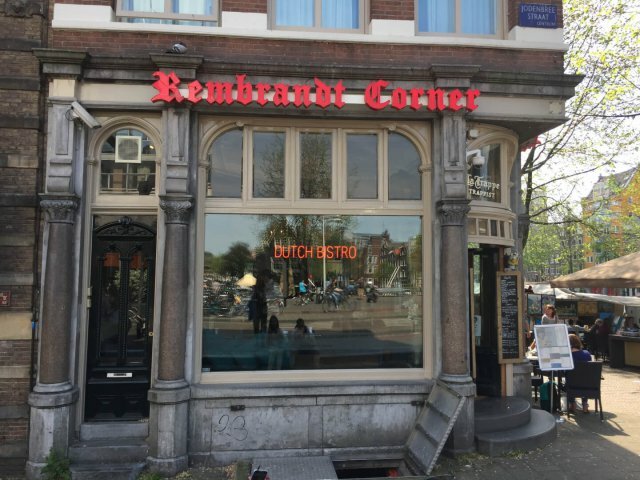 Nestled next to the world famous Rembrandt House you will find us on the corner with a Dutch-inspired menu card with classics like pea soup and stew. We are every day open for breakfast, lunch or dinner. 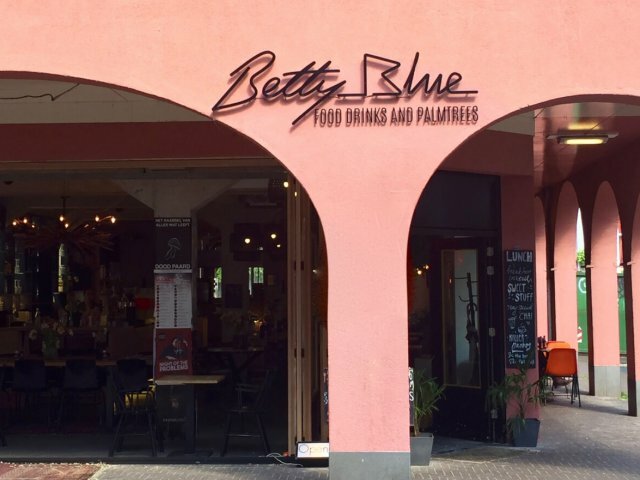 Betty Blue Restaurant is a comfortable space in the busy city centre of Amsterdam. We serve breakfast & brunch also lunch & small meals. Next to our menu we bake cake! Lots of it. Our cheesecake and Red Velvet are loved bij many. 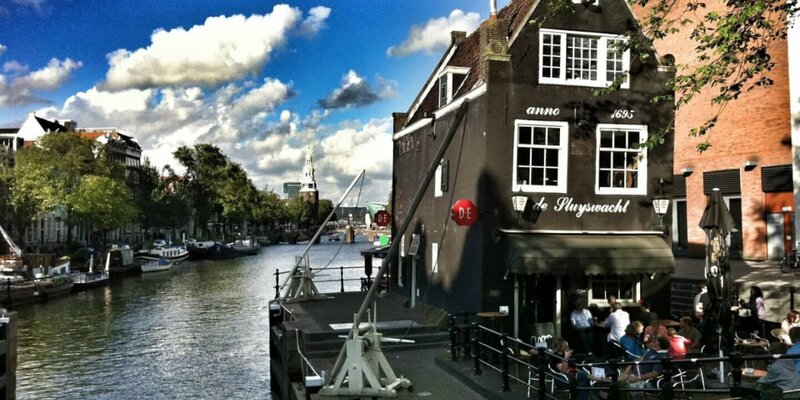 We serve food, drinks, music and happiness. Good Italian coffee and nice food. 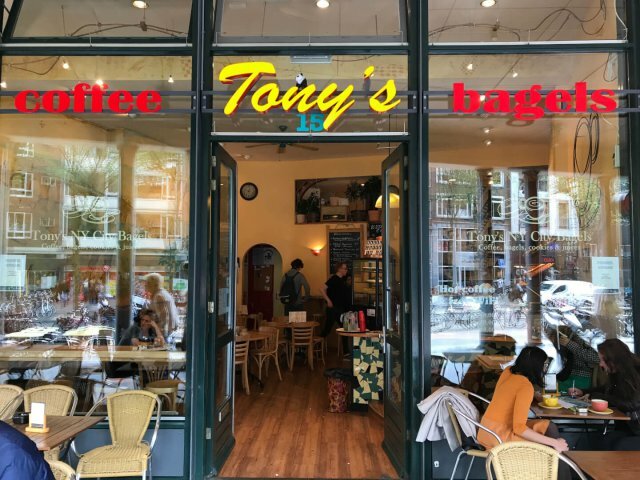 In the center of Amsterdam on Jodenbreestraat, near Waterloo Square and the Stopera, you will find the best Bagels, the tastiest coffee, delicious cookies and fresh Juices at Tony’s New York City Bagels. Ice cream and other sweets! 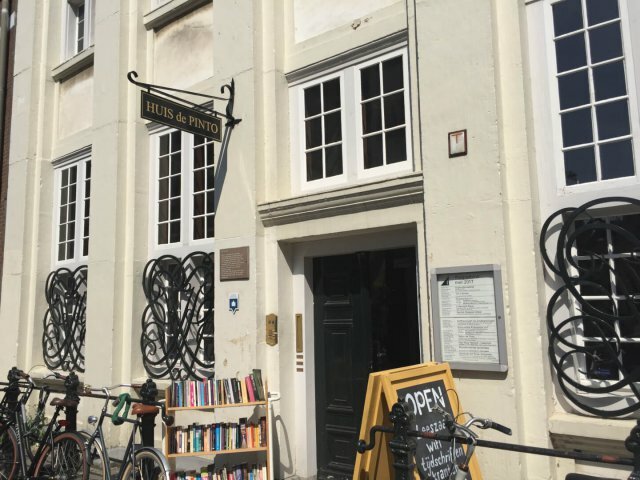 Right in the Amsterdam Nieuwmarkt area, in a building with centuries of history, is the cultural and literary center House Pinto. 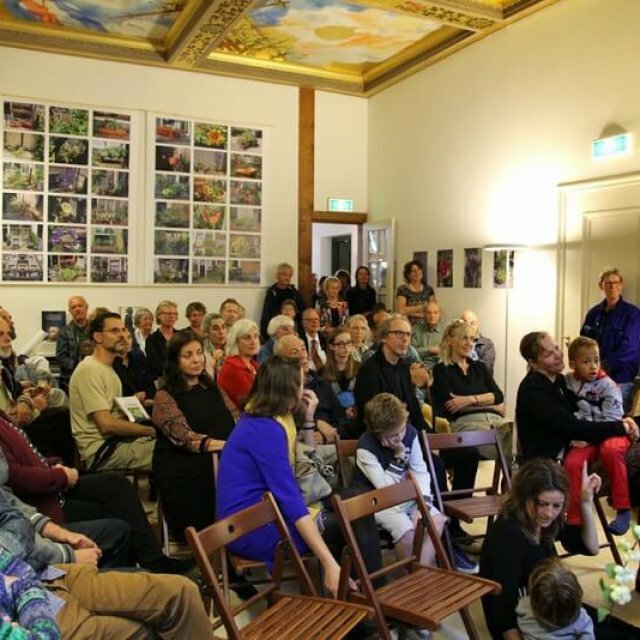 A meeting with a varied cultural program. In the room you can read newspapers and magazines, coffee or tea, and exchange ideas. located in the beautiful reading room is the exchange library and can read in peace and study. House Pinto program book presentations, lectures, music performances, philosophy courses, art projects, exhibitions, film screenings, and more. 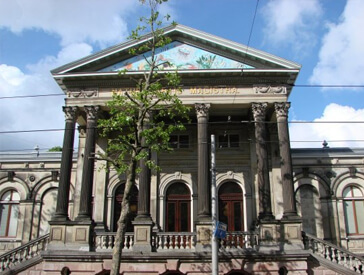 The Rembrandt House Museum is a historic house and art museum in Amsterdam in the Netherlands. 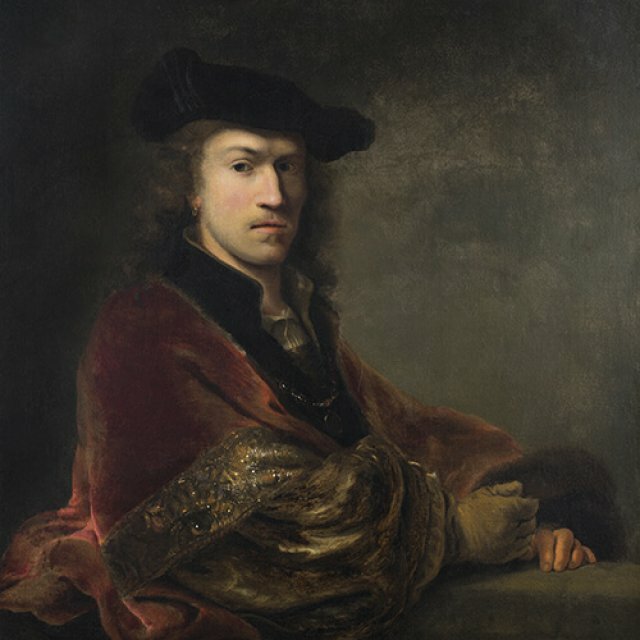 Painter Rembrandt lived and worked in the house between 1639 and 1656. 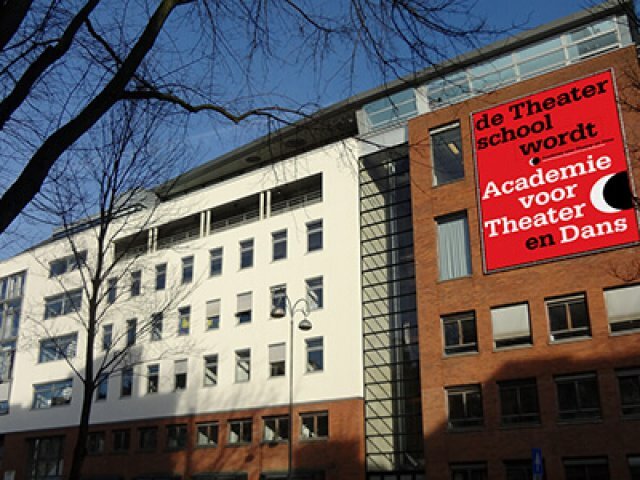 The Amsterdam Academy of Fine Arts leads students to the national and international field of art, culture and heritage. 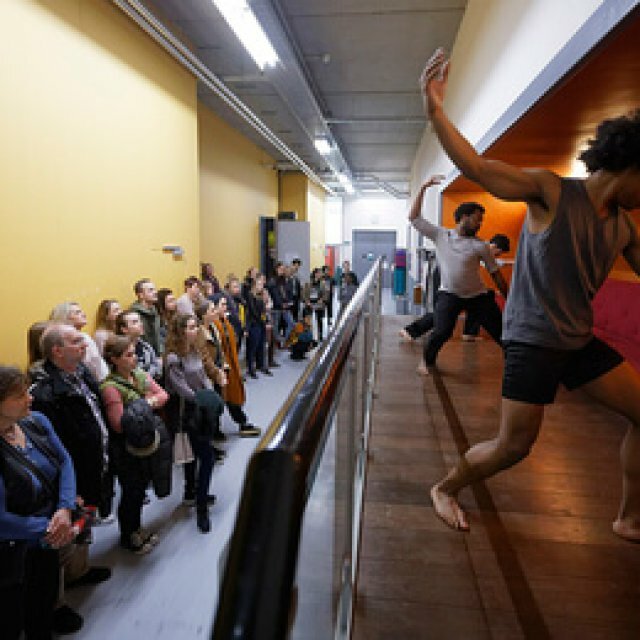 The AHK stands for excellent training: excellent teachers help highly talented students develop their artistic identity from workmanship and tradition, with an eye for innovation and in close interwoven with the internationally leading field of work of which Amsterdam is the key. Mercy Chinese Medical specializes in orthopedic, chiropathic and various other conditions. In this practice you will not only be treated with needles. 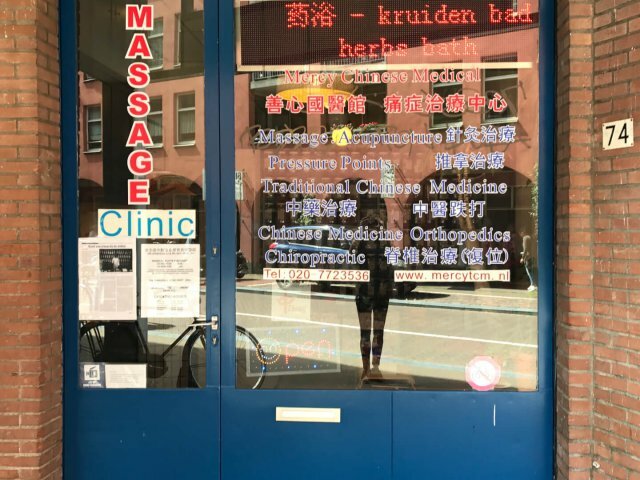 In addition to acupuncture, various other therapies such as guasha, cupping, tuina massage and herbs from traditional Chinese medicine are used. And of course with the support of various devices to optimize your treatment. 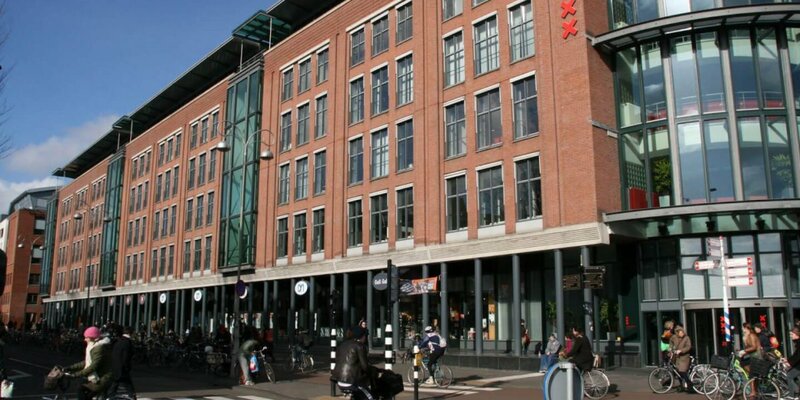 Info.nl is a creative technology company that makes relevant digital products. We love to work with advanced companies that are actively looking for the next step. Together we create digital products to love. Grrr is a creative digital agency. 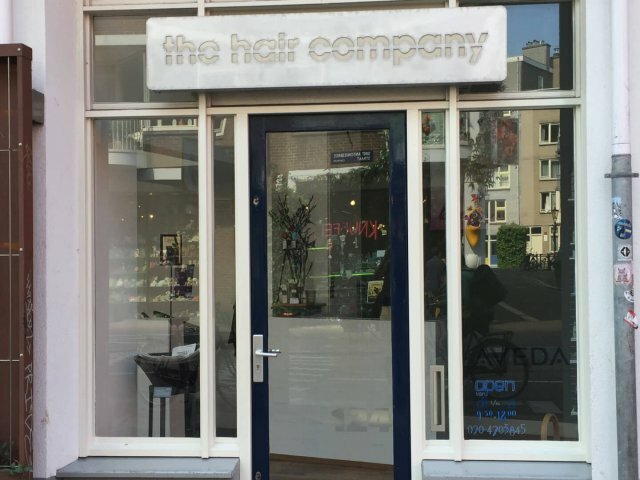 The Hair The Hair Company@Next is a cosy, contemporary lifestyle salon situated in the city centre of Amsterdam. In our salon we have a wide range of hair and body treatments. 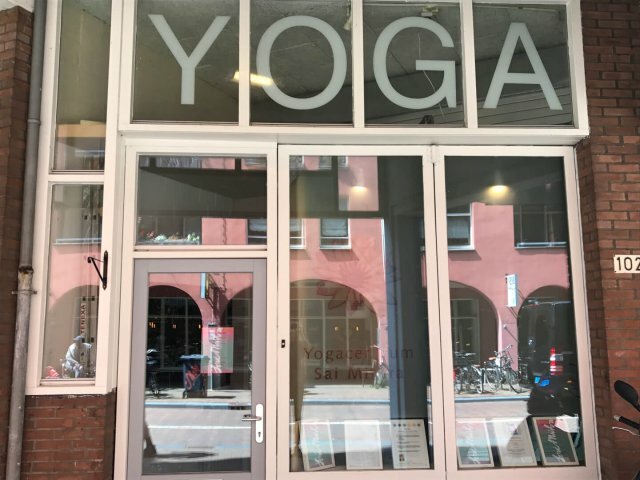 A place for your inner and outer care and also for your relaxation. We aim to fulfil each treatment with our personal care and touch. Call or drop by for an appointment. And let us make you look good and feel good! We look forward to welcoming you soon! The Body In our salon we have extensive body treatments. All the treatments will be done with our personal care, advice and touch! Every massage will be personalized to meet your individual wishes and personal needs, based upon the Aveda’s Elemental Nature philosophy and your favorite Aveda aromas. You will experience the balancing and revitalizing benefits of our Aveda body treatments. Come to the Hair Company@Next and experience one of our body treatments. Let us balance and revitalize your body! 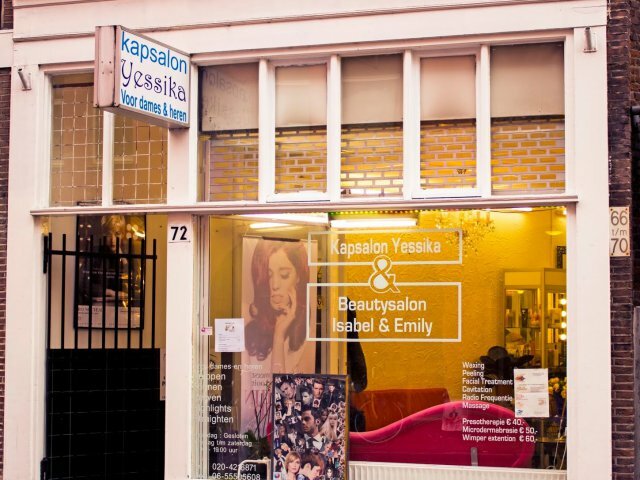 Yessika Hair is a nice and cozy lounge at the St. Antoniesbreestraat in Amsterdam. Her team consists of experienced and professional hairdressers with passion for their profession. With our knowledge of the latest trends, They gladly provide you with expert advice. This salon uses high-quality products such as Keune and L’Oreal Expert. General Practice for residents of neighborhood. We work with a team of specialized physiotherapists. Within our team, quality is of paramount importance and we are constantly that anyone who chooses us getting the best possible treatment. We hope to welcome you in our practice to cooperate with you on your recovery. 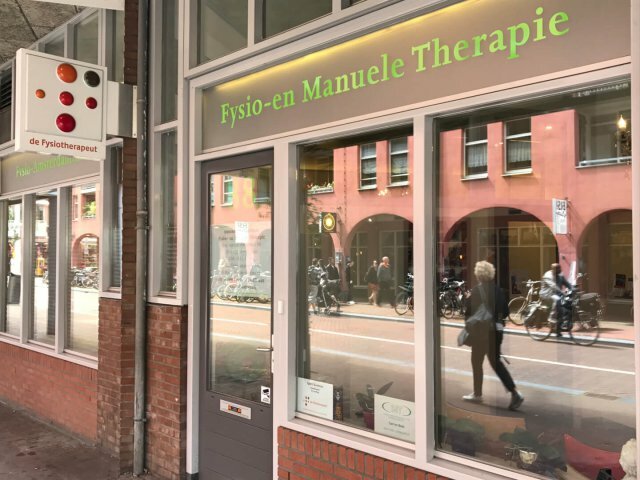 You can go to this practice: Physiotherapy Dry Needling Manual therapy haptotherapy Psychosomatic physiotherapy Cesar / Mensendieck hand Therapy Bedrijfsfysiotherapie Dietary advice by a licensed dietician Sports massage We have an exercise room. At Chez Mous, they are happy to help you personally, professionally, and ensure that you always go out with a smile.